Based on Christopher Nolan's blockbuster film, The Dark Knight! At just over 4-inches long, this deformed Gotham City Police Department cruiser features a stylized design fans will enjoy. 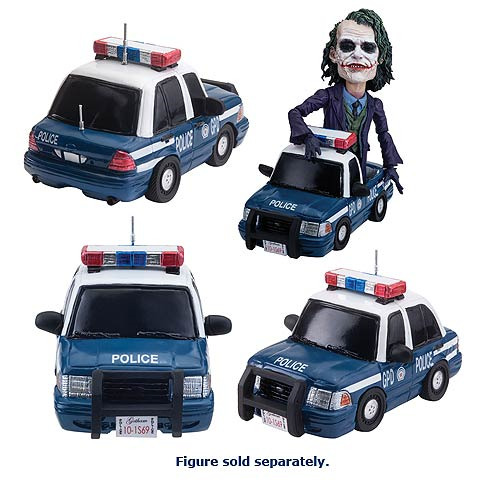 You can even fit the Batman The Dark Knight Joker Deformed Action Figure inside for a joyride (sold separately). Ages 15 and up.